The Android public issue tracker is a place for users to report possible bugs to Google's engineers, but just because something is reported doesn't mean it'll get fixed right away. 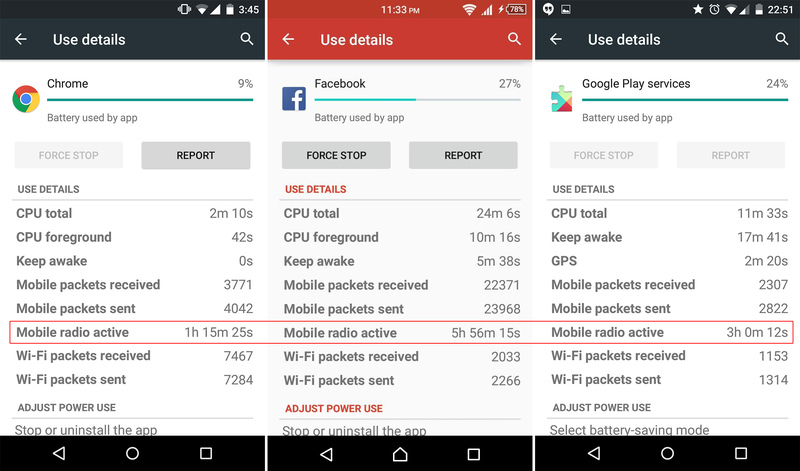 Many users have been experiencing a battery draining bug in Lollipop caused by the device's radio remaining active for too long, but only now is Google doing something about it. The fix is expected to roll out in Android 6.0. The bug seems to manifest in apps that use mobile data, so that could be pretty much anything. Check the usage details for an app, and it might show you some huge amount of mobile radio active time. Basically, the system would decide not to let the radio go back to sleep after it was used by an app, which caused the device to remain awake or wake up repeatedly. Because the fix is coming in Marshmallow, you'll have to wait for a big system update to get it. That won't be great news to (most of) the more than 3000 users who have starred the bug on the issue tracker. That's a huge number of stars for an issue, more even than the demands for low-latency audio and a toggle for heads-up notifications. Well, at least they're fixing it.